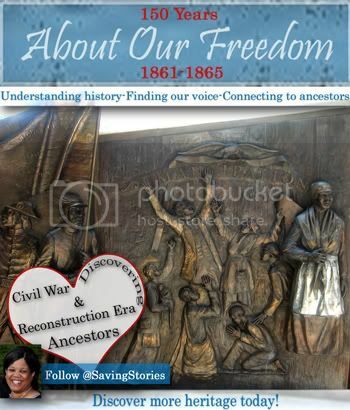 I cannot help but comment on the great genealogical value The Slave Dwelling blogs are providing. 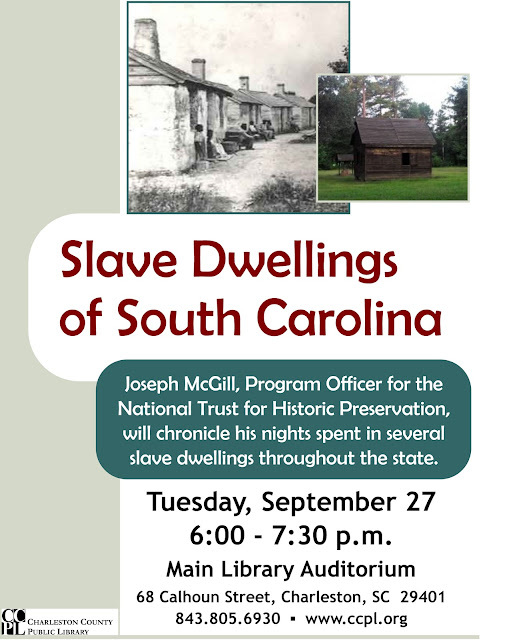 I can think of no greater way to learn more about the life of a slave ancestor than through the eyes of Joseph McGill, Jr. and the account of his stays and the history of the slave dwellings, original owners, local history, etc. I am especially excited to have the accounts of the current owners of Hopsewee Plantation, the Beatties, and Dr. Cheryl Lane, Assistant Professor, Francis Marion University. 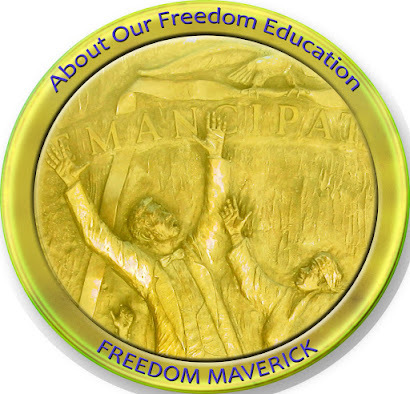 I can imagine one day, the descendants of former slaves finding great value in this collaborative effort. Thank you for sharing this experience with us! Saturday, August 6, 2011 found me at Hopsewee Plantation. Located on the North Santee River in Georgetown County, according to its website, Hopsewee, a South Carolina National Historic Landmark, is preservation rather than a restoration and has never been allowed to fall into decay as it has always been cherished. Only five families have owned it, although it was built almost 40 years before the Revolutionary War. Hopsewee would be my third stay in Georgetown County, Hobcaw Barony and Mansfield Plantation being the other two. This stay came about as a collaboration with the South Carolina National Heritage Corridor. The South Carolina National Heritage Corridor extends 240 miles across South Carolina, stretching from the mountains of Oconee County, along the Savannah River, to the port city of Charleston. It is divided into four regions and contains the following counties: Abbeville, Aiken, Anderson, Bamberg, Barnwell, Berkeley, Charleston, Colleton, Dorchester, Edgefield, Georgetown, Greenwood, McCormick, Oconee, Orangeburg, Pickens and Saluda. The 17 counties of the Heritage Corridor offer a cross-section of the state's historical, cultural, and natural resources that tell the vibrant story of South Carolina's centuries-long evolution and culture. The area describes the progression of upcountry and lowcountry life, from grand plantations and simple farms to mill villages and urban centers, and how their history affected South Carolina as a state and America as a nation. My limited research revealed that there were at least 33 plantations located on the North Santee River in Georgetown County. Other rivers located in Georgetown County are South Santee, Black, Sampit, Waccamaw and Pee Dee which all contained numerous plantations. From the 18th century to the Civil War, slaves planted, tended, and harvested the crops that made plantation owners wealthy and Georgetown County, South Carolina, the second largest rice producer in the world. My arrival there that day was the first time I visited Hopsewee. Raejean and Frank Beattie the owners wanted me to get there around noon so that I could interact with their visiting public. Upon arrival at the entrance, I got out of my car to take some pictures, I then discovered that the mosquitoes were going to be a challenge. When I reached the house, I formally met Frank and Raejean. Raejean had made plans to maximize my time there at Hopsewee. My slave dwelling lecture would compliment a $35.00 per plate dinner. Arriving early would prove to be beneficial, I took advantage of the time to explore the cabins and take lots of pictures before the mosquitoes ran me back into the Tea Room where the dinner and presentation was going to be held. After dousing myself with insect repellent, I decided to give it another try. The repellent worked. I took more pictures and even went to the waterfront to spend a little time there. I parked myself on the jogging board which was located next to the mansion. A joggling board is a long, pliable board that is supported on each end by wooden stands. The board is springy, and a person sitting on it can easily bounce up and down. It originated in the Lowcountry of South Carolina around Charleston in the early 19th century. As I began to reflect on the Slave Dwelling Project, I could hear thunder and see lightning bolts off in the distance. When one of those thunder claps was heard immediately over head, I decided that I had done enough reflecting and went back to the Tea Room giving praise that I had taken lots of pictures while the sun was still shining. Aside from the dinner and the lecture, one other new twist was being added to this stay. For the past six months or so, I have been working with Dr. Cheryl Lane, Assistant Professor at Francis Marion University in Florence, SC. Dr. Lane received a grant from Francis Marion to conduct research on the Slave Dwelling Project. This was the night that she would experience a stay first hand. Dr. Lane and her husband, Tom, shared one cabin while Terry James and I occupied the other. 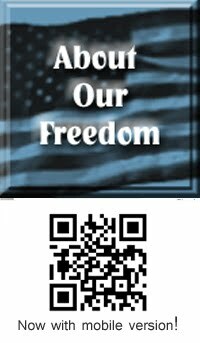 For you first-time readers of this blog, Terry James is a fellow Civil War reenactor from Florence, SC. This was Terry’s sixth stay, and yes, the fifth time he slept wearing authentic slave shackles. When the dinner crowd began to arrive, a number of us went on a tour of the mansion. To my amazement, no subject matter was taboo for the tour guide. I was thoroughly impressed that a Caucasian female was so knowledgeable, willing and comfortable with interpreting all aspects of slavery that made Hopsewee function as a plantation. The dinner was excellent. I lectured as folks continued to eat. During the lecture, I yielded some time to Terry James so that he could talk about sleeping in shackles. I then allowed Dr. Lane to end the lecture talking about the research grant that she received from Francis Marion University for the project. Adding those two elements to the lecture still did not prepare me for the first question that I got which was. “How do you feel about the confederate flag?” My immediate thought was what does the Slave Dwelling Project have to do with the confederate flag, but I did not say that out loud. Luckily, as a Civil War reenactor for the last twenty years and wearing my Civil War uniform at the time the question was asked, I had heard this question before and gave my opinion accordingly. As Terry James and I proceeded to our cabin, Dr. Lane and her husband, Tommy, proceeded to theirs. When Terry closed the door to the cabin he noticed above the door that a snake had shed its skin there. We both convinced ourselves that because the skin was dry and decaying that the process had occurred long ago and that the snake was nowhere in the vicinity of where we were. The biggest challenge for me throughout the night was hearing the traffic on Highway 17 as it crossed the bridge over the North Santee River. When Joe called to discuss the details of sleeping in the Hopsewee slave cabins, of course we wanted to extend our Hopsewee Southern Hospitality and fix a tasty meal for the folks who were planning to rough it the cabins. Then, less than 2 weeks before the event, we decided we could give Joe an opportunity to share his projects with other people. We were really pleased with the response and had about 40 people enjoy great food and a great presentation on the Slave Dwelling Project. Our menu was Gullah inspired with Gumbo, Hoppin John, Collard greens, Cornbread and Shrimp Salad. 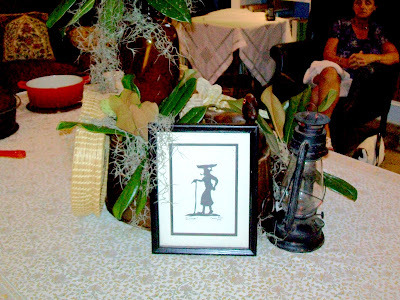 Our table was decorated with items from the slave cabin, sweetgrass baskets, magnolia leaves and Spanish moss. I think the best part was after everyone left and we enjoyed talking about the slave dwelling project and the rice history on the Santee. There is a lot of information in the Probate records on the slaves who lived at Hopsewee dating back as early as 1738 when Thomas Lynch I died and his inventory listed the names of the 11 slaves who lived and worked at Hopsewee (Yante, Simon, Mortune, Sabenia (Mortune's Wife), Quash, Dido (Quash's Wife) Marry, Belinda, Chloe, Jeffery and Herculaes). Frank and I are looking forward to Joe coming back and going out on the river with us. A trip across the Santee Delta on Six Mile Creek from the North Santee to the South Santee always makes me imagine what it might have been like for a slave who lived at Hopsewee. My husband and I were the caretakers at Ashtabula Plantation In Pendleton, SC for 12 years. Those years helped prepare us for the overnight stay at Hopsewee Plantation. We felt at home in the midst of “history,” however, in those 12 years we never spent a night in the “big” house or an outbuilding. A caretaker’s cottage provided our living space. On August 6, 2011, we had an opportunity to stay in a slave dwelling at Hopsewee as a part of Mr. McGill’s project and my summer research through Francis Marion University. Frank and Raejean Beattie, the present owners of Hopsewee Plantation, were gracious hosts to allow all of the participants this experience. The actual job of going to sleep was a little difficult. The HEAT! The wee hours of the morning brought relief as the sky began to show evidence of a new day. We were joined by a bat…making several rounds of the dwelling. A bird (unknown species) called throughout the night. One great-horned owl made his presence known…and a few other unidentified members of the universal kingdom. My thoughts during the night centered on the enslaved mothers of the past who lived for generations in this dwelling. They also heard “sounds of the night.” I am sure they paced those same floors as sick babies cried. They worried about their sleeping husbands who worked so hard in the heat, dealt with harsh weather, and tried in a very confining environment to provide for their families. Mothers kept the home-fire burning (literally and figuratively) and worked in some capacity on the land or in the “big” house. Their days were hard in different ways than mine…. harder physically in a greater magnitude than mine….. The strength, heart, body, and spirit of these enslaved mothers should be remembered and celebrated….. I find the house great. Imagine that after so many years, it is still standing like it's new. One reason maybe is that it's well-maintained by every families living there years after years.